As a plumber, it’s important to have your business needs organized—whether that means having a handy reference guide at your fingertips or a quick and easy way to allow customers to pay for services. 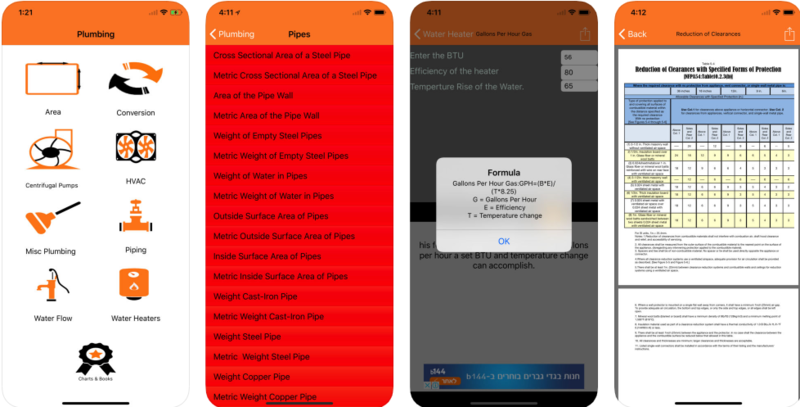 These days, there are plenty of plumbing apps you can use to help you when you’re out in the field dealing with equations, pipe sizing, and other plumbing needs that are great for organization. Need to figure out how to join two copper pipes? There’s an app for that. Need to determine the fastest route for all of your service routes that day? Yep, there’s an app for that. Need to organize all of your invoices, customers, and technicians? You guessed it—there’s an app for all of that. This is the number-one rated app for service professionals—and it’s loaded with features that backup that number-one rating. You can think of the Housecall Pro app as your business dashboard where you can control almost every aspect of your plumbing service. 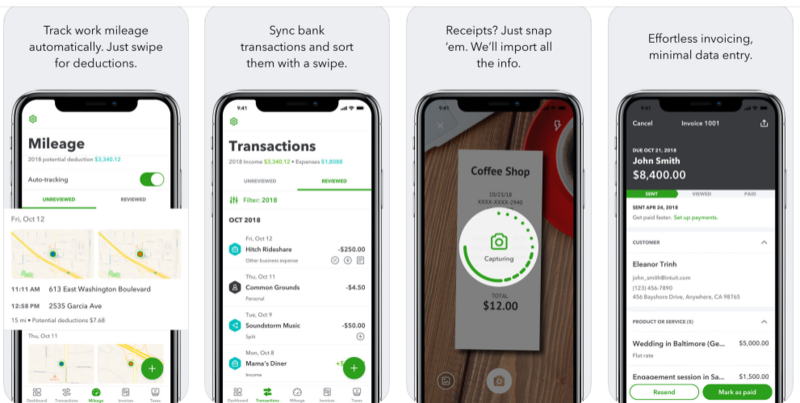 Create custom invoices and estimates, schedule and dispatch technicians, and accept payments via credit cards, all in the same app. Schedule and Dispatching: Edit your schedule from your mobile device or computer, drag-and-drop jobs to manage your work schedule, set up recurring jobs, schedule arrival windows for customers, send jobs directly to technicians, use in-app messaging with clients or employees, and attach notes and photos while out in the field. Customer Communication: Send timely job status updates, send text and email reminders, as well as en-route notifications. Online Booking: Allow customers to contact and book through your website or external websites like Yelp or Facebook. Never let a missed phone call mean you missed a potential customer. Estimates and Payments: create, update, and send invoices, email estimates, invoices and receipts automatically, customize line items. Plus way more! It’s the easiest way to manage your plumbing business and helps you avoid doing hours of paperwork at the end of a long week. Housecall Pro plumbing software features an intuitive, user-friendly interface so everything about your company is streamlined from your office staff, to your work orders, to technicians in the field. Not only do the features in this service app help you keep track of your business, but they also lead to a better customer experience because you can message clients directly through the app, follow up, and send invoices. All sides of the business transaction, from dispatch to payment, are handled quickly and without delay. Don’t let miscommunication hamper your customer service rating ever again. As you already know, being a plumber involves constant equations to determine the right pipe size, water flow, and other calculations. Luckily for you, Plumbing Formulator can make your life a whole lot easier. Over 120 formulas are available to use with this app, so you can be 100 percent confident that you’re getting the exact measurement you need. With this plumbing software for iPads or iPhones, you’ll never be stuck at a job site frantically googling equations—you have all your calculations right in the palm of your hand. This is the essential reference guide for any plumber working in copper piping systems. Using this handy plumbing app, you can determine technical data or information about different joining methods. It’s straight from the Copper Development Association and is designed with the professional plumber in mind. You’ll never have to frantically look up copper piping information while at a job site; simply use the app to guide you toward the right answer. Have you ever had a day with service calls that take you all around town, zig zagging back and forth to opposite locations? Not only does this waste gas, it also wastes valuable time you could have used elsewhere. Route4Me completely eliminates this frustration. 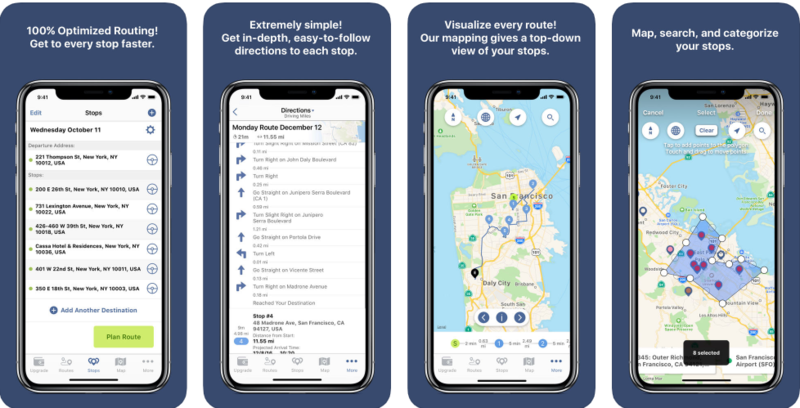 Simply load all of your service stops into the app and the app immediately re-sequences the entire route in the right order so that you take the most efficient way possible to all of your house calls. This plumbing app optimizes your route so you save time, money, and wear and tear on your vehicle. It’s one of the best free apps for plumbing contractors because it simplifies a process that can be incredibly frustrating. Have a fleet of technicians you regularly dispatch? Once all of your technicians begin using this app, you’ll be able to answer more service inquiries and house calls by finding the most direct route for everyone out in the field. This isn’t quite an app; instead it’s a helpful website with specialized software that allows you to deliver options for service repairs with custom pricing flexibility. 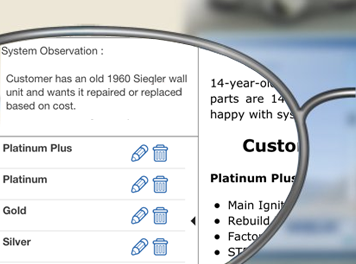 After a service technician comes out during a service call, he or she uses the Optionmaker within the website to look at similar scenarios and virtually build out an economical option, middle-of-the-road option, and high-end options for the repair. Each option has suggested verbiage to go along with it if the technician isn’t quite sure how to express the different choices available to the customer. If you need help keeping the financial side of your plumbing business organized, look no further. There’s a reason by QuickBooks is synonymous with accounting. Using the QuickBooks app, you can create invoices for customers, manage your cash flow and expenses, and see your total net profit. Housecall Pro can easily connect your home service business to your Quickbooks Online. All of your service history, price list data and customer list can be synched. Learn how Housecall Pro can help your plumbing business boost revenue by 30% and start your free 14 day trial today. If you’re an independent contractor, it’s crucial you keep track of every single one of your business expenses for tax purposes. After all, you don’t want to miss out on valuable tax deductions because you failed to keep your receipts organized. As a plumber, you’re constantly on-the-go, making house calls to repair systems, driving to customers, and checking up on your technicians. A highly mobile professional such as yourself deserves the kind of technology that can keep up with your pace. Using a variety of plumbing apps and plumbing services software, you can save yourself time, frustration, and keep your business operations running smoothly. If you’re ready to take your business to the next level, try Housecall Pro, an all-in-one app that has everything you could need—except the kitchen sink. Do you need help with other aspects of your plumbing business? Housecall Pro offers tons of other features for service-based small businesses like a logo generator. Create your plumbing business logo to stand out in the competitive world of plumbing and get ready to land customers, expand your market, and efficiently manage your workflow.